Picasso is arguably one of the most famous artists ever, which is one of the reasons that the Pablo Picasso Museum Barcelona is so popular. While he may be best known for his cubist paintings, you won’t see these in this museum. This Picasso Museum (Museo Picasso Barcelona) focuses on the artwork he did during the early part of his life. I enjoyed my visit because it helped me learn more about Picasso’s life and appreciate what an incredible artist he is. Let me give you some tips and tell you what you can expect when you visit the museum. Unfortunately, no photography is allowed inside the museum, so all the pictures in this blog post are Picasso’s work that I have seen in other museums such as the Metropolitan Museum of Art. The Picasso Museum is located in the El Born area of Barcelona. If you are taking the Metro the closest stops are Jaume I or Arc de Triomf. Our hotel was not too far from the Picasso Museum, and we enjoyed the walk to the museum. We passed several nice pieces of art on our way. I didn’t even realize when we arrived at the museum because it just fits in so well in the neighborhood, but then I saw the line to get in and knew I was at the right place. I highly recommend buying a ticket in advance to avoid the line and make sure Picasso Museum tickets are not sold out. Since the Picasso Museum Barcelona advance tickets are for a timed entry, you will need to plan ahead. The Picasso Museum Barcelona entrance fee to see the collection is €11 for adults. If you would also like to see the temporary exhibit, then the ticket price is €14. Students with IDs and those 18 years and younger are free. Visitors between the ages of 18 and 25 and those over 65 can receive a discounted Picasso Museum Barcelona ticket. If you are planning on doing other sightseeing while in Barcelona, you might want to consider the Barcelona Pass or the Barcelona Card. Both tourist cards include admission to the Picasso Museum. Keep in mind, the Picasso Museum Barcelona opening times are 10 am on Mondays and 9 am the rest of the week. On Monday the Picasso Museum Barcelona hours only go until 5 pm. The rest of the week the museum stays open until 7 pm and 9:30 pm on Thursday evenings. 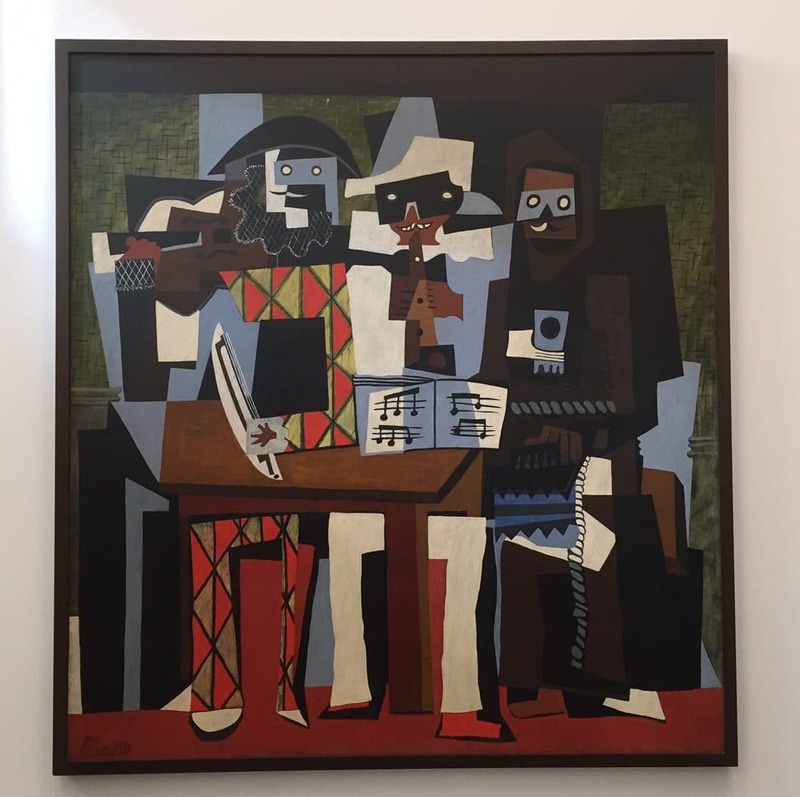 If you time your visit right, you can enjoy the Picasso Museum Free Sunday which happens on the first Sunday of the month and every Sunday after 3 pm. However, I would expect the line to be worse than normal during those times. To fully appreciate the museum, it is a good idea to know a little bit about Picasso’s life. Picasso was born in Malaga but lived in Barcelona from age 14 to 23. Then he moved to Paris. While in Paris, his best friend, Carlos Casagemas, also an artist, committed suicide. That marked the beginning of the Blue Period, where the dominant color in his paintings reflected his mood. After four years, he found a steady girlfriend, Fernande Olivier, who helped him see the world through rose-colored glasses and the Rose Period began. Then at age 25, Picasso developed the painting style we now call Cubism. In cubism, the subject is vaguely recognizable, almost like you are seeing it through a kaleidoscope. After he married his first wife, Olga Kokhlova, and had a son, he entered the Classical Period. During this time, he painted more realistic people. People were always Picasso’s favorite subject. When the Spanish Civil War ended in 1939, Picasso left his wife and Paris behind to head to the south of France. During this time, his paintings were sunny, light-hearted and childlike. He also experimented with collages using all kinds of materials. These types of pieces may be common now but were quite revolutionary at the time. His last works have the spirit of someone much younger. As it is often said about Picasso, “When he was a child, he painted like a man. When he was old, he painted like a child.” He definitely lived a fascinating life and I want to learn more about him. You can see how his life and what he was going through impacted his art. His life would make a great Lifetime movie. Antonio Banderas would be my pick to play Picasso. The artwork in the Picasso Museum in Barcelona is arranged generally in chronological order, with a heavy focus on his early works. I knew the museum focused on his earlier works but I had no idea that meant paintings from when he was 14! It surprised me that any 14-year-old could paint such realistic portraits. In one of his more famous paintings “Science and Charity”, the doctor is modeled after his father. I like the perspective trick that Picasso used in this painting. If you walked back and forth, the bed would shrink and grow. He featured his father and mother in several other paintings too. The paintings from the Blue and Rose periods showed his emotions at the time. The Blue paintings were dramatic and depressing. The Rose paintings were very sexual. It was also interesting to see the sculptures of Fernande Olivier. She made such a difference in his life. I wonder whatever happened between them, you can tell they had a very passionate and intense relationship. They were together for seven years and apparently 20 years later, she actually wrote several articles for a Belgian paper about it. Wouldn’t those be interesting to read? We also enjoyed the paintings that Picasso did of Diego Velazquez’s masterpiece Las Meninas. 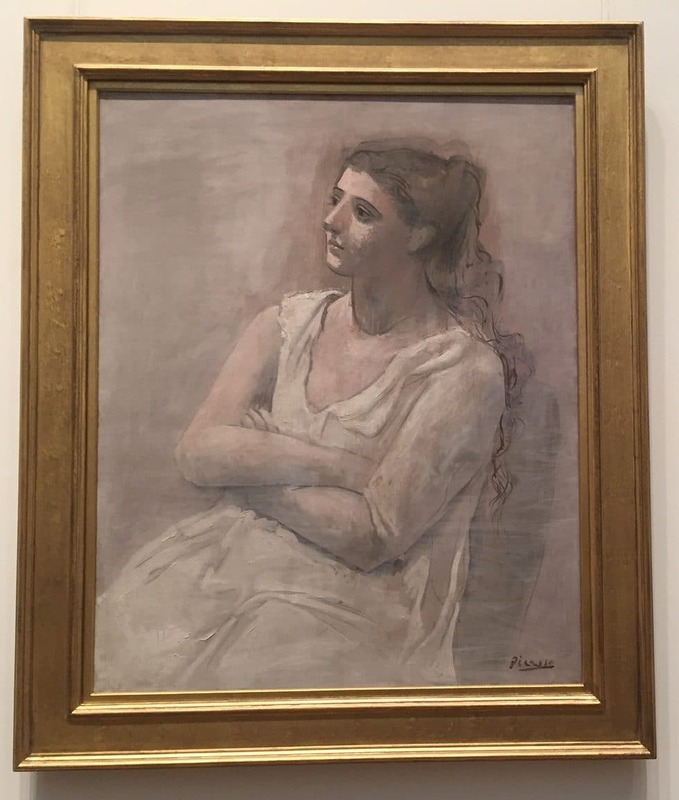 Picasso became fascinated with the piece from the 17th century and painted 40 different interpretations, many that are on display at the museum. Some were black and white, others had bold colors and all were large. You could see the connection to Velazquez’s painting and also Picasso imagination and creativity. The last bit of the Picasso museum holds pieces from his later years. You really see that he painted like a child. I love the bold colors and cheerful subjects. There were also some beautiful ceramics. I enjoyed our time at the Picasso Museum. When you are in Barcelona, I would definitely recommend planning ahead so you can fit it in your itinerary. If you are reading this just before you want to visit and the Picasso Museum Barcelona tickets are sold out, don’t worry, you can always buy a skip the line tour through Viator. (Click here to check options and schedule) Also, dedicated Pablo Picasso fans should be sure to stop by the Picasso Museum shop for a souvenir. I know there are other Picasso Museums in the world (Paris for example), that I hope to visit. 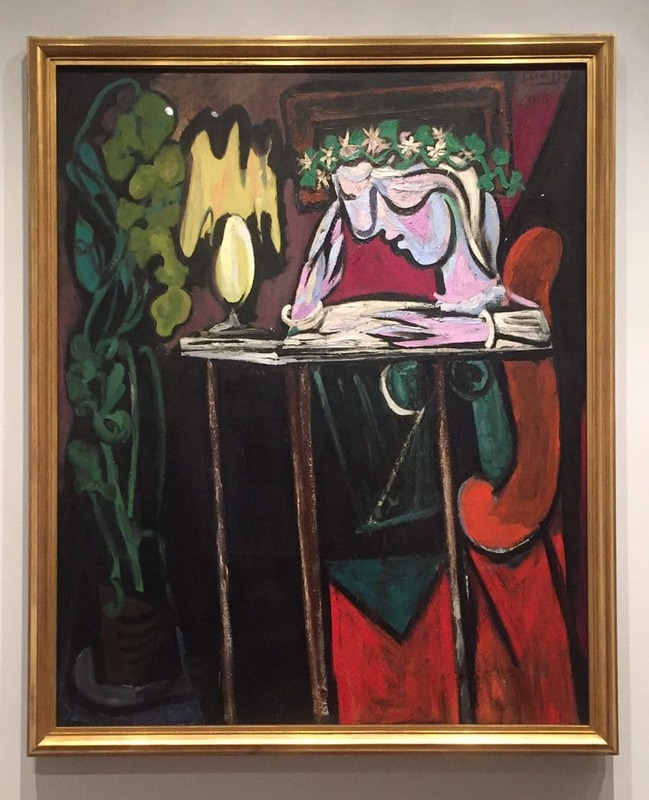 Have you been to any of the Picasso Museums? I would love to hear about your experience. Remember the Picasso Museum Barcelona has free entry the first Sunday of the month and every Sunday after 3 pm. Unfortunately, photos are not allowed inside the museum. I would plan on spending 2-3 hours at the Picasso Museum. If you would like to try tapas near the Picasso Museum Barcelona, I would recommend Lonja de Tapas. We went after our visit and enjoyed it. Disclosure: No financial compensation was received, but the Picasso Museum did provide complimentary tickets. As always, opinions expressed here are my own. Barcelona is high on my list of places to return to in the near future and I’ll certainly be adding the Picasso Museum to our list of places to visit, I feel that we missed out on our first trip! Yes Vicky – you guys will love it. We want to go back to Barcelona too, there is just so much to see! I loved this museum – I wrote about it in my blog post about Barcelona in March. Such a great place to see such a huge range of his works. I hate not being able to take photos though – i’m such a happy snapper! Yes I was so tempted to take pictures too. So many great pieces to see! Also visited the Picasso Museum while in Barcelona. It’s definitely worth a visit. Love the area and is more unique then the bigger museums most people are used to. Thanks Adrienne. Glad to hear you enjoyed it too. Picasso is one of my favorite artists. I would love to visit this museum someday. Barcelona is a must visit for me in the next couple of years. 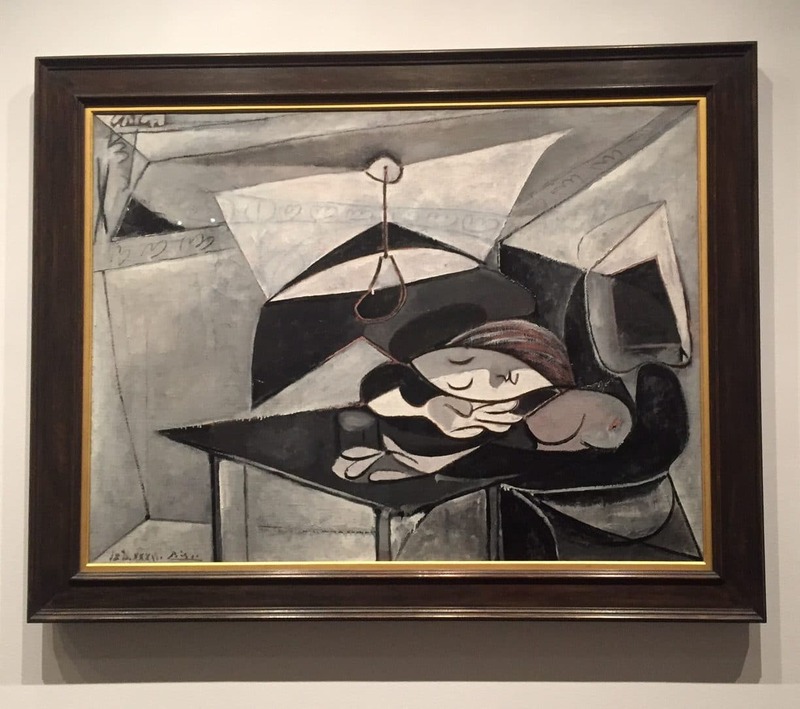 Melissa – I love Picasso too and now want to visit some of the other Picasso Museums in Europe. And yes, highly recommend Barcelona, will have more about our time there coming up on the blog so stay tuned! We love Barcelona as it is a beautiful city, but when we were there the Sagrada and the Gothic quarter were on the tops of the list. Of course we had to go to the marina waterfront area for the evening. Too many museums on this trip after France and Italy so we just couldn’t do another. Yes understandable! There is so much to see in Barcelona. I went to the one in Paris – I didn’t like that you started to see the woman he was moving onto in the paintings before he’d left the old muse…but still great paintings…. Next time in Paris, I definitely want to check it out! He really did lead quite the drama filled life! I loved the Picasso Museum in Barcelona, but it’s been a while since I was there. Your post reminded me of it and of how beautiful Barcelona is. Glad to hear you liked it too. Thanks Anda! Thanks Cathy. I hope you make it back, you would be really impressed by his early works. Thanks Phoebe, I will check it out. Hope you and the kids have a great time! Glad you enjoyed the museum. You are lucky you could just buy tickets, the line I saw at the museum was huge. Thanks so much Jim. Have you visited any of the other Picasso museums? Would be interested to hear how they are. So much to do in Barcelona, I didn’t make it to the Picasso museum – next time! And will follow it up with tapas and a glass of cava. Yes there really is so much to do in Barcelona, it is worth a second trip. I want to go back myself. Sounds like you have a great day planned!